When William Henry was undergoing his early training he was not impressed with the standard of the training and vowed that if ever he had his own company training would be a top priority. True to his word a comprehensive training program was put in place almost as soon as the company started. 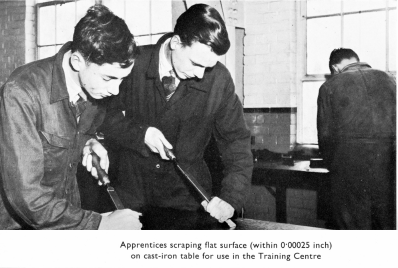 The Company soon built up an excellent reputation as a leading establishment for engineering training, with many young people passing through the various training programmes offered by the company. This training formed a stepping stone into subsequent successful and rewarding careers, both within the company in the wider world. The ‘Allen Apprentices Association’ and the ‘Allen Pupils and Students Association’ respectively formed focal points for the trade apprentices and trainee engineers. 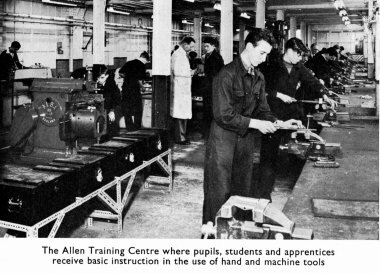 Cessation of manufacturing at Queens Works in 2000 spelled the end of ‘Allen’ training but respect and interest in the engineering heritage of the brand remains. The former ‘Association of Past and Present Pupils and Students of W H Allen, Sons and Co Ltd’ continues in spirit and has been renamed ‘The W H Allen Engineering Association’. 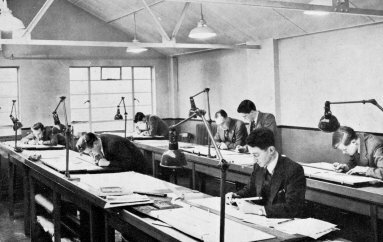 The constitution of the association has been changed in recent years and membership is now open to any ex-employee, of the ‘Allen’ group of companies who has an interest in preserving the heritage of the work of W H Allen, Sons and Co Ltd.. Membership is currently around 250 and members are invited to attend the Annual General Meeting. This meeting was until recently held alternately in Bedford at the Queens Works site and at another Allen related site or other place of engineering interest. Following the complete closure of the Queens site the ‘home’ meetings have been held at a place of engineering interest in the Bedford area. Although the visit, whether home or away, is to a place of engineering interest and is followed by discussion of recent moves in the preservation of Allen heritage, the meetings are generally informal and are primarily seen by most as a chance to meet up with old friends and colleagues for a good old chat. Typically around 40 members attend these meetings. The Association has taken on the task of preserving the ‘heritage’ of W H Allen and prior to the closure of Queens Works those members still working there were able to rescue the models of Allen engines, steam and diesel, and after having them restored were able to find suitable ‘homes’ where they are available for the members and the public to see them. Those same members were also able to relocate the ‘paper’ heritage, photos and documents, into archive libraries locally for future research. The Association is active in supporting organizations such as engineering museums, trying to rescue and preserve Allen and its subsidiary companies’ equipment or artefacts. 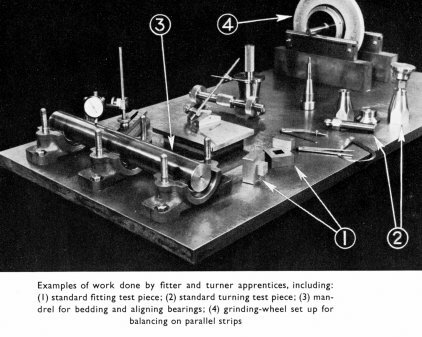 The Association has begun a ‘Heritage Award’ scheme to present a plaque or certificate to any museum or heritage site that has made a significant effort in preserving ‘Allen’ equipment. If you were an Allen student, pupil or employee and would like to join the association please get in touch via our Contact page.